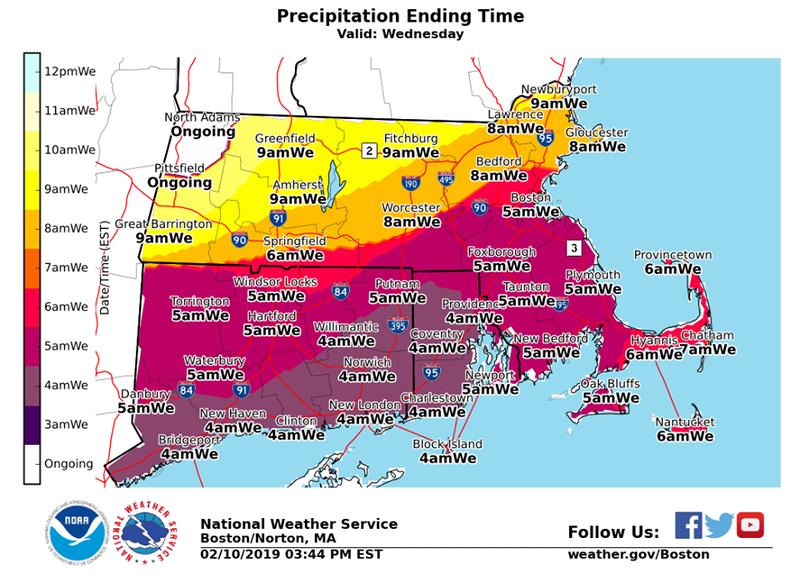 The National Weather Service has issued a more refined forecast concerning the projected storm this week. For those who are not big snow fans, the update is promising due to an uptick in the expected temperature. Accumulating snow and sleet are expected to develop Tuesday afternoon from west to east. 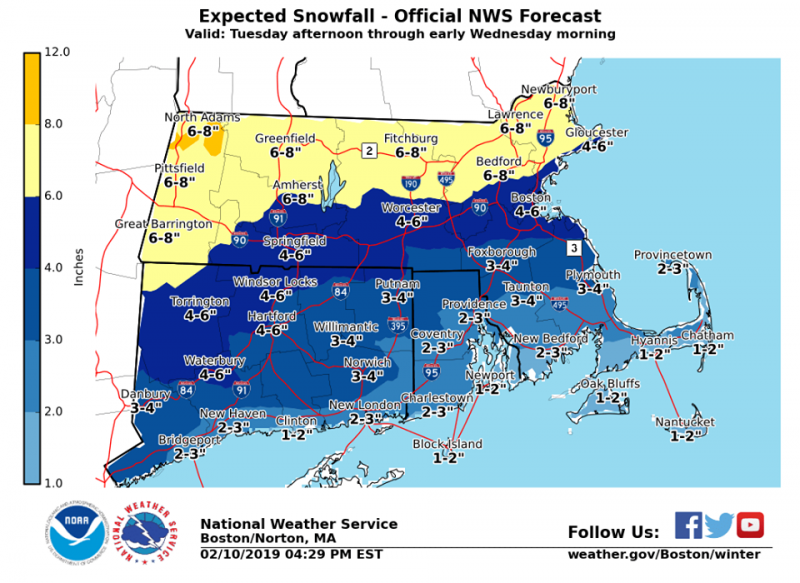 While snow and sleet accumulations remain uncertain, a significant impact is possible during the Tuesday evening commute. 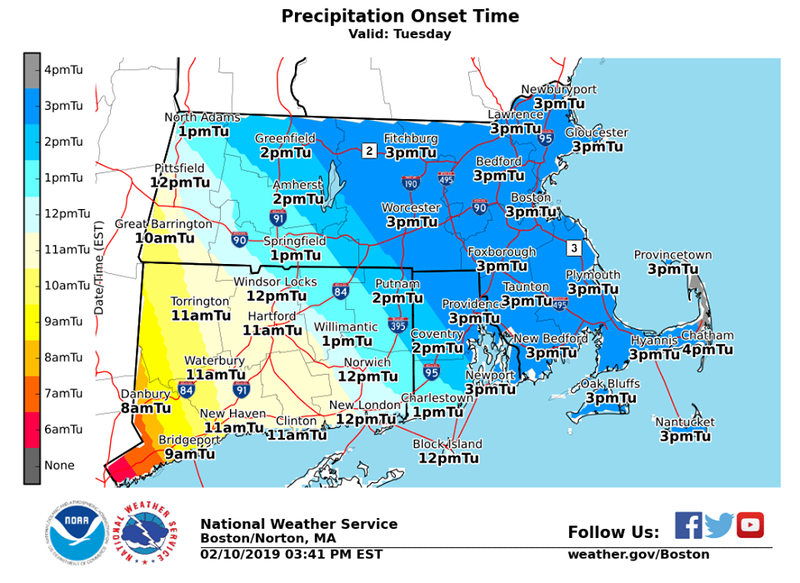 Precipitation will change to all rain Tuesday night, but a period of freezing rain is possible across portions of northern Connecticut and northwest Rhode island. Snow, mainly after 2pm. High near 31. Northeast wind 5 to 7 mph, with gusts as high as 21 mph. Chance of precipitation is 80%. New snow accumulation of 1 to 3 inches possible. Rain, snow, and sleet, becoming all rain after 11pm. Low around 31. East wind 8 to 15 mph. Chance of precipitation is 100%. New snow and sleet accumulation of around an inch possible. A chance of rain before 7am, then a chance of showers between 7am and 8am. Mostly cloudy, with a high near 46. West wind 8 to 15 mph, with gusts as high as 30 mph. Chance of precipitation is 30%.